I always say that my first geeky passion is computer programming. But that is a passion I developed about 8 years ago. Another geeky passion I have recently developed has been security analysis. Because of this reason I started a Youtube channel the previous year called “Inversor Moderno” (“Modern investor” in English). Besides the fact that I prefer to follow the fundamental analysis and to be more specific the “value investing” philosophy, I started the channel with the purpose of leaning and teaching more about investments and specifically about quantitative trading. However, it has been a long time since the last time I uploaded a video. I am still not sure if I should use a GtkListBox or if a GtkTreeView would look better. Also I don’t know what message should be shown when no result is found after searching and also what message to show when the Freesound library window is open for the first time. Laisa Barro says “Studying Computer Science and Art allows me to combine my creative and technical skills in unique and innovative ways. As a Production Support Engineer intern at Pixar, I’ll have the opportunity to apply those skills while working with almost every group at the studio to help diagnose and problem-solve issues for users on GNU/Linux-based desktop platforms." Version 4.0 of the FFmpeg multimedia toolkit is out. There is a long list of new filters, formats, and more; see the announcement for details. FFmpeg 4.0 is now available as the latest major release for this widely-used open-source multimedia encode/decoder library. FFmpeg 4.0 introduces NVIDIA NVDEC GPU-based decoding for H264 / MJPEG / HEVC / MPEG-1/2/4, VC1, VP8, and VP9 formats. This release also adds an Intel QSV accelerated overlay filter, an OpenCL overlay filter, VA-API MJPEG and VP8 decoding support, new VA-API filters, and many other accelerated code path improvements. Plus, Kodi add-ons serve as apps similar to what’s found on streaming devices like Roku. For instance, the Plex for Kodi add-on provides access to your Plex media server library, while the Funimation Now add-on lets you stream Funimation from Kodi. Furthermore, the robust Kodi media center provides plenty of options to access networked media files. Thus, it’s more comprehensive than most Kodi OSes. If you’ve used Ubuntu, then Kodibuntu should present a familiar experience. 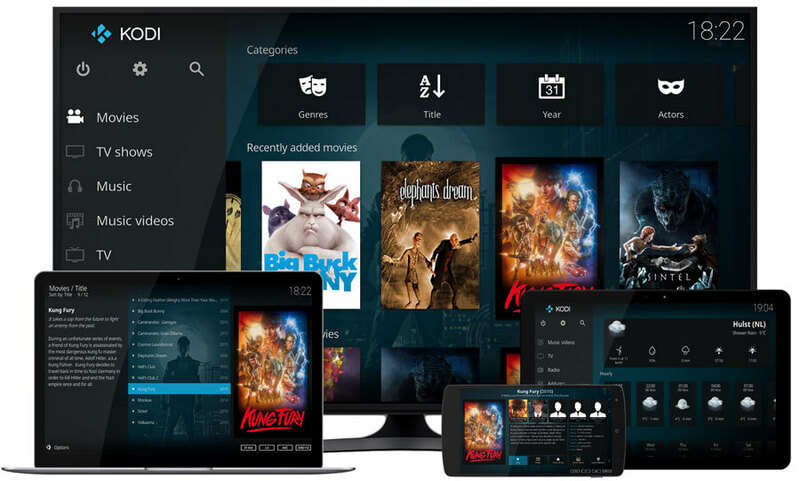 Learn more about Kodi with our complete A-Z of Kodi guide! OSMC (Open Source Media Center), the free and open-source media player operating system based on the Linux kernel and designed for single-board computers received March 2018's update with dozens of changes, including support for the latest Raspberry Pi model. Raspberry Pi Foundation announced last week on Pi Day, March 14, 2018, the Raspberry Pi 3 Model B+ single-board computer (SBC), which features updated hardware, including a 1.4GHz 64-bit Quad-core ARM Cortex-A53 CPU, Gigabit Ethernet over USB 2.0, Bluetooth 4.2, Dual-band 802.11ac wireless LAN, and PoE support. The developers of the OSMC Linux OS (formerly RaspBMC) received some pre-production units from Raspberry Pi Foundation to prepare their upcoming release for the new SBC, and March's update is now live with Raspberry Pi 3 Model B+ support, allowing you to transform it into a versatile home theatre system. Team LibreELEC celebrates its second birthday (and international Pi-Day) with the release of LibreELEC (Krypton) v8.2.4 which brings minor bug-fixes and new firmware to support the Raspberry Pi 3 Model B+ hardware announced this morning. Kodi v18 Leia Alpha was released today with "more than 6140 (code chunks changed)", with great improvements to the HTPC software's music library, Live TV and video player. See the changelog for more details.